Roof Maintenance Archives - Beneficial Roofing | VOTED BEST Roofing Company, Call Us Today & See Why! Everyone including animals deserves a good place to stay during the winter season. Even small animals such as rodents, bats, birds, and squirrels search for shelter during unfavorable weather conditions. Your upper roof could be the shelter they want to use. However, these small creatures could end up bringing the unbelievable quantity of damage on the insulators, trim, wirings and ductwork. To make the matter worse, they can as well spread dangerous infections to your family. The following steps are efficient ways to eliminate and to prevent these critters away from your premises. To prevent these small animals into the house, trim the trees closest to your house. 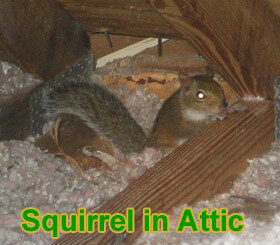 The tree branches that head to your roof will make a pathway for these small living creature. Food sources such as garbage bind and pet’s dishes can attract animals nearby. Therefore, you should try and keep them all inaccessible by covering or blocking the food. To prevent the rodents or whichever small animals that are causing damages and also spreading diseases, set up traps particularly at the place where they often were seen. Find those small holes and do several patchworks because even the tiniest openings can invite those little creatures to develop nest inside. For certainty, to make sure for good condition of the vent pipes, chimneys, eaves, and soffits have Beneficial Roofing’s contractors come for checkups. 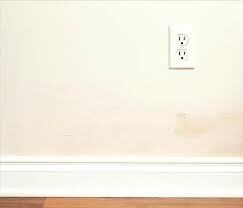 They will seal spaces to keep those small animals away and to avoid pest infestation as well. Don’t allow your premises to become ground zero for nests during the winter. Go through these simple procedures to make you home no-go zone for these creatures, or you can call the experts from the Beneficial Roofing Company for complete surety. 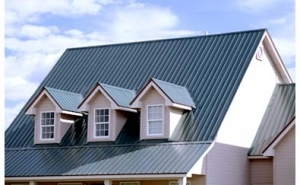 Beneficial Roofing analysis is conducted by certified and experienced roof specialists. These services include roof surveying and roofing checkups on their condition. Additionally, the structure of your roof and weather resistance can be examined in detail. Through all those processes, they prepare a customized report about the current roof condition and its durability. In short, they want to provide you with the complete information that you might need for caring for your roofing, hoping that you never have the similar problem again. Also, a roof survey offered for free. 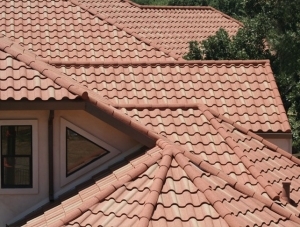 Beneficial Roofing has highly trained specialists that will survey your roof. If you’re a homeowner with an unfinished attic, you might not have considered that its proper ventilation is essential for your home’s optimal energy efficiency and to prevent some common conflicts. Depending on your climate, seasonal temperature changes can cause serious damage your your home without proper ventilation. During hot summers, the temperature outside reaches 70-100 degrees or higher depending on where you live, and more importantly, your attic can reach as high as 120-150 degrees. If the attic is not properly ventilated, that trapped heat can penetrate your ceilings and keep the whole house warm in the wrong season, summer. This problem will cost you because you will run your air conditioner more to cool the house. The cost won’t end there because this additional use will shorten the life of your air conditioner unit or system. In the winter, air they you’ve paid to heat can escape to the attic and not have sufficient ventilation and the consequence of this is the cold air outside meeting the warmth of your attic and causing condensation. This moisture is the ideal environment for mold growth and will ruin your attic’s insulation and corrode wiring and building material. If the heat inside the home causes ice or snow to melt on top of the roof and then refreeze, it can lead to the building of a dam that causes water backup and more damage to your roof. There are two types of ventilation that allow enough circulation and release of excess heat or moisture and they are soffit vents and ridge, box, or power vents. Soffit vents are installed low on the underside of the roof overhang. Ride, box, or power vents are placed high in the attic, near the roof’s peak and allows excess air to escape where it will cause the least amount of damage. Current recommendations are to have one square foot of ventilation per 150 square feet of attic ceiling, or per 300 square feet if there is a ceiling vapor retarded installed. Call your local, trusted HVAC (heating, ventilation, and air conditioning) or roofing expert to evaluate the home’s current condition in this regard, and make recommendations with their estimate. 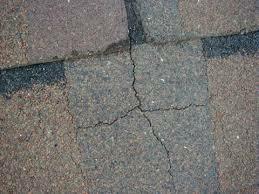 Your roof is susceptible to decay, damage, cracks, and leakage. Even when you have used the best quality materials and installed everything properly, there is need to follow best roof caring practices. It helps you avoid roofing problems. Fix a roofing problem as soon as you notice it, otherwise, it will develop into a bigger problem. Proper care and maintenance, as well as timely repair, are essential to keep your roof in good condition for years to come. It does not require lots of effort and resources. Just inspect your roof at least once a month and take appropriate action if you notice any problems in your roof. 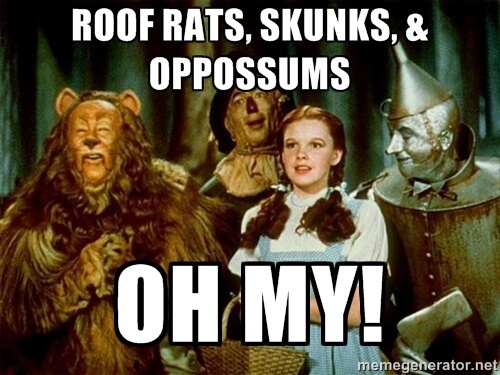 It depends on the type of roof you have. When shingles are nearing the end of life, you will notice peeling and curling problems. If you notice shingle granules in the gutters, it indicates your roofing material may be in need of replacement. Go to the attic and inspect the ceiling surface. 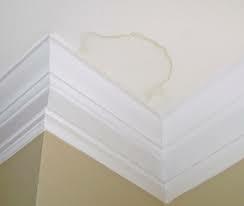 If you find stains on the surface of the ceiling, it indicates moisture or water seepage. Moss, algae and fungus are destructive to the house construction materials. Do not try to clean these things on your own. 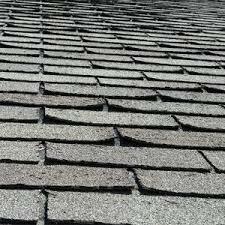 Call Beneficial Roofing for FREE Roof Inspections. 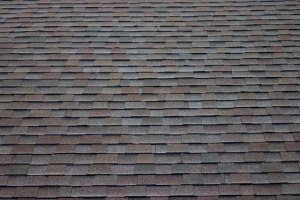 If your home has weathered storms and high wind incidents, you may have a bald spot on your roof due to missing shingles. Repair works are needed to fix these problems. Once you have identified the root cause of your roofing problem, it becomes easy to look for the right solution. Follow the best roof caring practices to avoid future problems. Visually inspect your roof once a month. Roofing problems that are obvious can be detected this way but you may miss the underlying problems that are not visible. For this reason, you should always hire a professional roofing contractor at least once a year for a thorough and professional roof inspection. 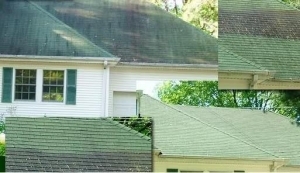 Debris like tree leaves and branches on the roof should not be allowed to rot for long. Make sure the downspouts and gutters are cleaned regularly. Water causes extensive damage to the building materials, especially the ones that are porous and absorb water. 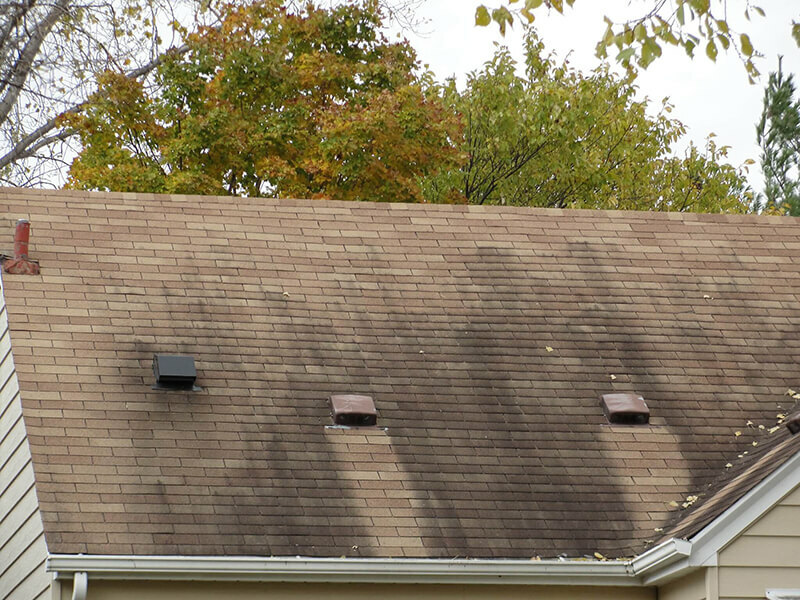 Keep your roof clean so the water does not collect on it. 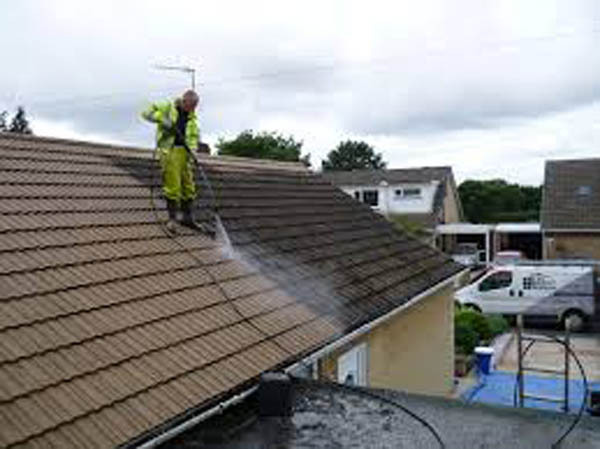 Cleaning All parts of the roof including gutters should be cleaned as and when required. It is important to remove moss and algae that retain moisture. Moss affected spots become a breeding ground for microorganisms. Keep your roof in good condition with regular maintenance. Never try to repair any part of the roof on your own, it can turn into an easy repair work to massive repair work if not properly repaired. It is dangerous and can lead to serious injuries. Always take help of trained and experienced roofing contractors to diagnose and fix the roofing problems. Damaged roof parts should be repaired as early as possible to avoid future problems. You will have to pay less money to repair simple problems than to big problems resulted to improper repairs. 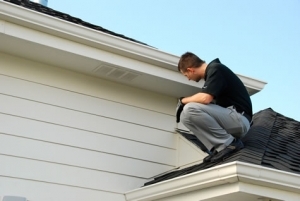 Regular maintenance helps you avoid frequent roof repairs. A clean and well-maintained roof gives the whole house a beautiful look. It helps you command higher rental and resale value for your house. Complete roof replacement is an expensive project. 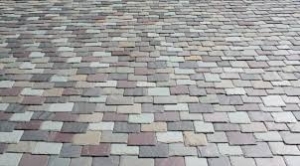 You can avoid such a large investment for several years if you maintain your roof regularly. Follow these practices to have a long lasting and healthier roof. Also, These practices can save you tons of money in the long run. There are many times of gutter products that are meant to make their maintenance easier for you and allow you to clean them out less. These products include systems of gutter covers, gutter guards, and heating systems for colder climates. Other products for making cleaning easier include tongs, vacuums, sprayers, and more. There are many factors to consider here. First you have to consider which products will actually work with your current home or gutter system. Not all products will fit your home’s design and current gutter structure. Some solutions might even suggest you replace your entire gutter system like a gutter and cover in one product. The next thing you need to consider is your budget. Are you willing to spend less and clean more? With any solution you consider, you should thoroughly research and review products before purchasing. Most professionals can agree that there are pros and cons to every single option and you should weigh them heavily before deciding. To make things easier, you might make an appointment for your trusted roofer to assess your situation. They might be able to help you with other roofing recommendations, installation, or gutter cleaning if you choose to put off making the decision. Here are 4 of many really good products to consider. A bottle brush gutter guard is a less expensive option to consider making your gutters efficient longer between cleanings. The brush product you insert into the gutters collects debris and keeps it from clumping and preventing the passage of water. It seems to work really well for people who’ve chosen to use this product. Just like gutters, it needs to be cleaned out periodically, but less than gutters usually do and it shouldn’t cause you any problems (clogging) in the mean time. Other gutter guards are made of a mesh or foam material that catches debris as well, but getting the proper fit for your gutters might be problematic and each product seems to be hit or miss about doing its job. Only homes in cold climates will need to consider this option. When ice and snow build on the eaves of the home, it can cause icicles and build up and potentially damage the home. The gutter cover and heat cable system will heat the ice and snow and send the melted water away from the home, preventing water or damage from the heaviness of sitting snow. If sitting ice and snow has been problematic for you in recent years, you may consider installing this system to prevent the costly damages in the future. The only con is that the installation is best done by a professional. Ask your roofer if they recommend the system and if they are able to order and install it. Cleaning your gutters is recommended twice per year. If you don’t mind doing it yourself, there are products available that can make your life easier. Many people just climb a ladder and use their hands to remove debris that has clogged their gutter system. Gutter tongs can save your hands and prevent you from injuring yourself by being an extension of you and preventing imbalance and falling from the ladder. Extensions of the tongs might be available to keep you from even having to climb a ladder, but seeing if you’ve removed all the debris could be problematic if you don’t get up there yourself. Again, if you clean your own gutters and have a shop vac, you can purchase a gutter vacuuming extension. This might do a better job than tongs can do and make the task easier for you. There is definitely an extension for this product so you won’t have to climb a ladder to do it, but you run the same risk of not seeing whether you’ve removed all the debris. If money is a non-issue, support your local roofing company and employ them to clean your gutters the twice per year that’s needed. The average cost is 175.00-275.00 and depends usually on the size of your home and gutter system. Don’t forget that properly maintaining your home will prevent costly damage later on and can improve resale value in the future.